The United Nations said Monday that an increase in the killing of political activists and community leaders in Colombia after the demobilization of FARC guerrillas is “very alarming,” according to the UN. 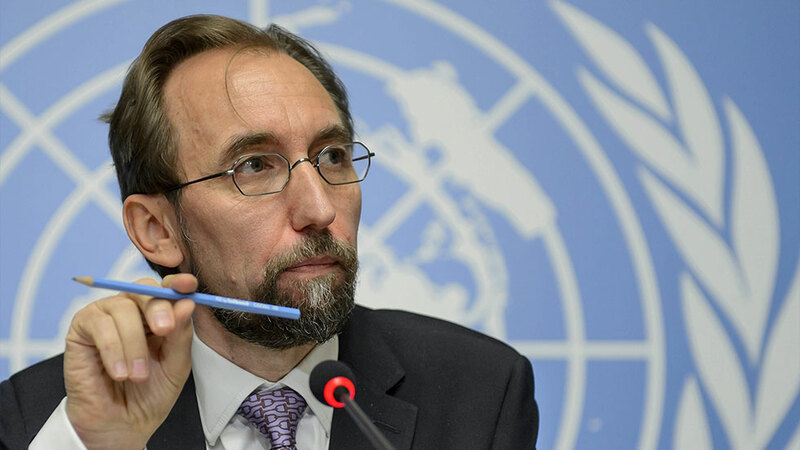 UN’s High Commissioner for Human Rights, Zeid Ra’ad al Hussein, said Monday that at least 41 Colombians were killed in apparent politically motivated assassinations in the first four months of this year. “This is an increase compared to the same period last year and the years before, and very alarming,” the UN official said at a press conference on the global human rights situation in Geneva. Al Hussein confirmed claims that most of these killings have taken place in former FARC territory where the Colombian military was supposed to have assumed territorial control. However, rather than the military, guerrillas, paramilitaries, drug traffickers and crime groups have entered these area and have begun a terror campaign. The UN’s latest number is higher than the assassinations registered by news website Pacifista, which has counted 32 political assassinations since the FARC peace deal came into effect and the guerrillas began abandoning their long-held territories. The last community leader to be killed was Diego Fernando Rodriguez, the legal representative of the community of the Ganaplata hamlet in the southwestern Cauca department. Rodriguez’ body was found on Saturday after the victim apparently had been stabbed to death, according to several media. Cauca, already one of Colombia’s provinces most traumatized by the war, has lost at least 10 community leaders. The province was not just one of the FARC’s most important territories, it is also the most prominent marijuana-growing regions in the country and a key corridor for cocaine trafficking. Additionally, illegal armed groups have been highly active in illegal gold mining activities. Al Hussein warned that it is not uncommon that in post-conflict situations human rights violations go up. “We have to be very careful this won’t happen in Colombia,” the UN human rights chief said, weeks after the local UN human rights office reported an increase in forced displacement. The peace deal made with the FARC did not end Colombia’s long history of political violence and has sparked fears of a mass killing of leftists as was carried out by the security forces and pro-establishment paramilitary death squads in the 1980s and 1990s. The UN Security Council is set to visit Colombia this week and said to expect to be informed about the political violence by President Juan Manuel Santos.